Last year, Gensler surpassed $1 billion in revenue. We now employ over 5,000 people across 46 offices and serve over 2,300 active clients. The figures are astounding, and a source of pride, demonstrating that our vast global presence helps us serve our clients more extensively and efficiently. The numbers, or the brains of the operation, prove that our processes, design quality, and client relationships are firing on all cylinders. But how do we measure our heart and soul? 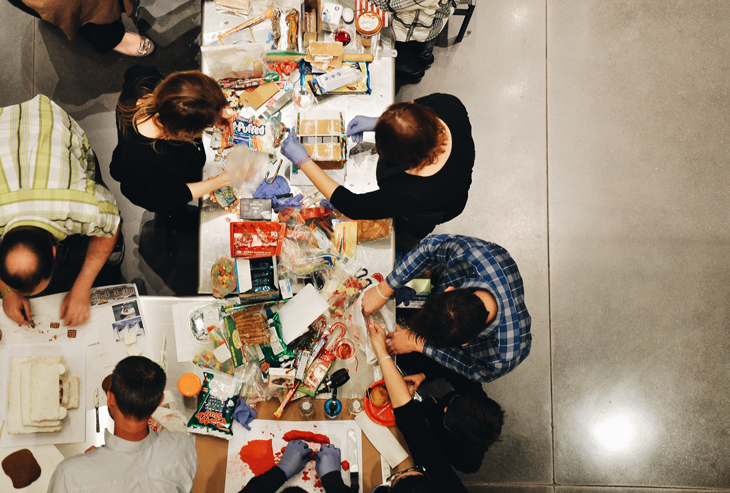 How do we ensure that the passion for design that each Gensler employee inherently possesses can be used for meaningful impact on our local communities, and not just to expand our global reach? Gensler is joyfully celebrating 50 years of design excellence this year. Here in the Dallas, Houston and Austin offices, we felt it was important to observe this accomplishment by not only toasting to the next 50 years, but also making a concerted effort to give back to the communities throughout our cities that have given so much to us personally. We’re calling this our “50 Acts of Kindness.” Each office interprets these acts in their own unique way to impact their city. In Dallas, from October 2015 to October 2016, we’re participating in 50 activities that we feel will make a local impact, no matter how large or small those gestures may be. Some acts include a month long Movember initiative growing snazzy moustaches while raising money for men’s health, designing auction items to support arts and culture sponsorships for economically disadvantaged children, and building community gardens in South Dallas where there is a high prevalence of food deserts. Last month, I was able to take a chunk of time out of my typical work day to help with a great event called WeCare. It’s held by the Boys and Girls Club of Greater Dallas, which focuses on empowering kids, especially those who need it most, to reach their potential as productive, caring and responsible citizens. 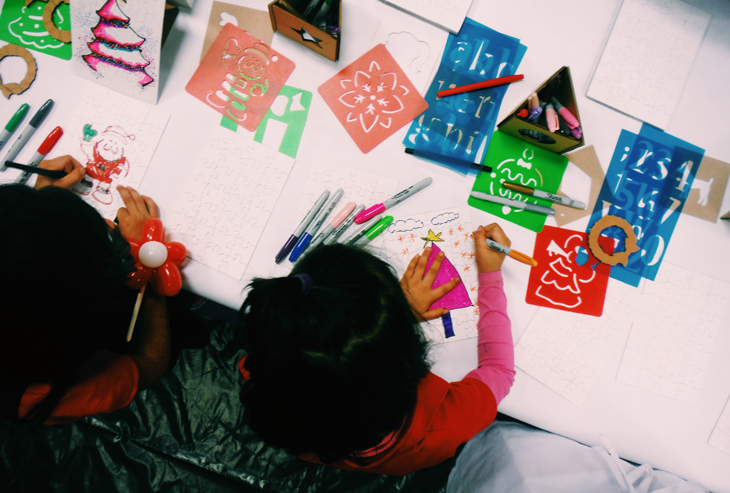 Gensler set up a table with blank puzzles for the children to decorate, then provided a gift wrapping station so they could leave with a package ready to give to those they care about. One child that left an impression on me was seven-year-old Ronald, whose face was freshly painted like a pirate, complete with the appropriate mustache and eyepatch. He had decorated a puzzle with markers and handmade stencils, and was unmistakably proud of his creation. When he approached the gift wrap station, we asked whose name we should write on the "To" section of the gift tag. He dodged the typical “Mom” or “Dad" monikers, and expressed that he just wanted to write “Family." Then he requested to write both his first and last name in the "From" column. I have no idea what Ronald’s situation is at home, and I will probably never know, but I do know that moments like these allow us to reach deeper into a community to learn, on a very real level, about their specific needs. We are essential components of this community, not just as designers, but as citizens in our neighborhoods. I am just one small piece in the Genslersphere here in Texas that feels this way, and this sentiment is echoed in every Gensler office that makes up this firm. We have a firmwide gServe program tracking our commitment to community impact initiatives, like partnering with WorldHaus in India to provide affordable housing or “Reimagining the Town Square” to rethink how our cities and communities are connected for a greater social infrastructure. The thing that I most embrace about Gensler is that even though we are large firm, we are not an intimidating, monolithic brand. Each office has its own DNA and connection to the community that should be celebrated. We are a constellation of stars, of talented individuals who never want to forget why we are in this profession in the first place. After all, those same communities that we as designers want to impact so greatly are the ones that helped shape us in the first place. You can follow our progress on social media outlets Instagram and Twitter via #fiftyacts. J.D. Busch is an environmental graphic designer at Gensler. He is a member of the 50 Acts of Kindness committee, an initiative begun by the Associates in the Dallas office. Other team members who masterminded the initiative include Brion Sargent, Jose Maese, Kelly Hannon, Kim Rodriguez, LaShae Stinson, Rene Lesur, and Shannon Carpenter. Contact J.D. at jd_busch@gensler.com. Here is the article for cassidy. Looking for DMD DOCTOR OR DDS? Both do the same job for you. This is post about dds and dmd.